Lot:3054 1881-S Liberty Head Half Eagle. MS-64 (NGC). CAC. 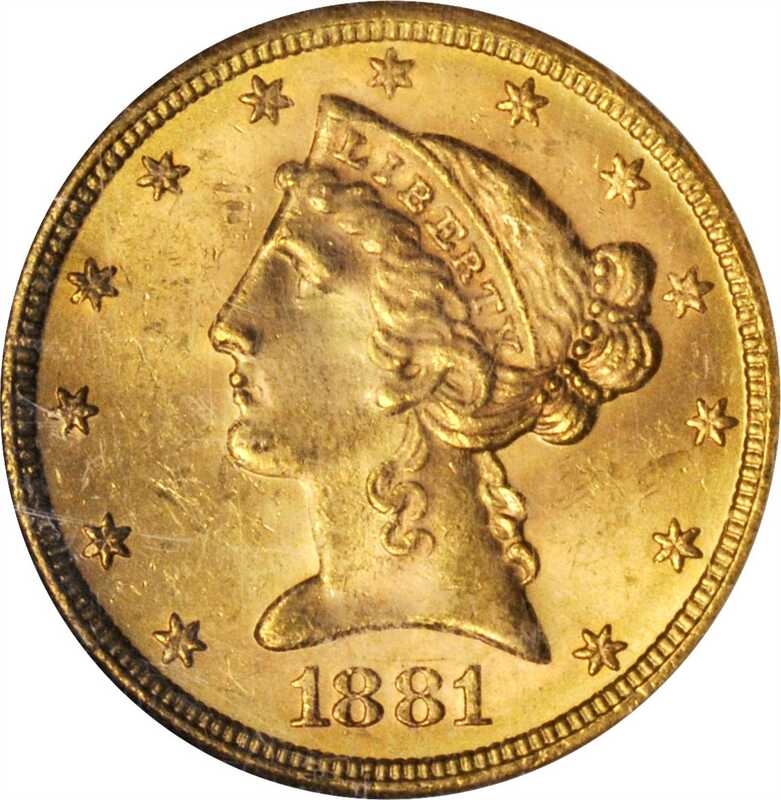 1881-S Liberty Head Half Eagle. MS-64 (NGC). CAC.With billowy mint frost, pretty rose-orange patina and a sharply executed strike, this premium quality near-Gem is seemingly earmarked for inclusion in a high quality gold type set.